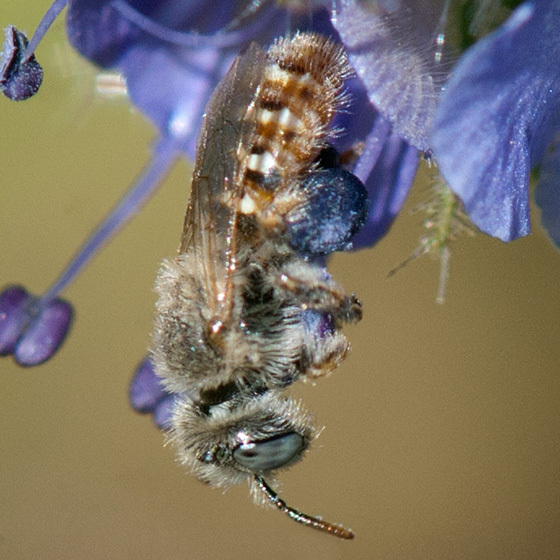 This small bee with a multicolored abdomen was collecting pollen on Distant Phacelia (Phacelia distans) at the Claremont Colleges' Bernard Field Station. Might it be Calliopsis barbata? So distinct, remember seeing it at BFS, also Eaton Canyon. Neat how they pack pollen into an agglutinated mass.